No matter how much you try to prepare for life with an infant by reading blogs, online forums, articles, books, and listening to everyone’s advice—it’s just not possible. Life with an infant is an experience that is different for every family due to every household’s unique situations. Adjusting to life with an infant is more than learning how to care for the new addition, but an adjustment period that will take place once maternity leave is over and mothers are faced with returning to work. What are your plans for your new bundle during the day while you’re at work? Plan a day to do a test run of your routine so you know what to expect and which areas of the routine may need some work. Set a designated time that you’d like to be ready by. Then, pack everything your infant will require during the day, and get yourself ready as if you were heading into work. Contact our child care center prior to your arrival to let us know you’re on your way. This is a great opportunity to introduce our staff to our newest member. If you didn’t make it out the door by the time you were aiming for, make adjustments to certain areas so you’re not running into those problems on the official first day. If you have the option to go back to work part-time, definitely take advantage of that. It will certainly make the transition a lot easier to manage on your end, and your baby’s. 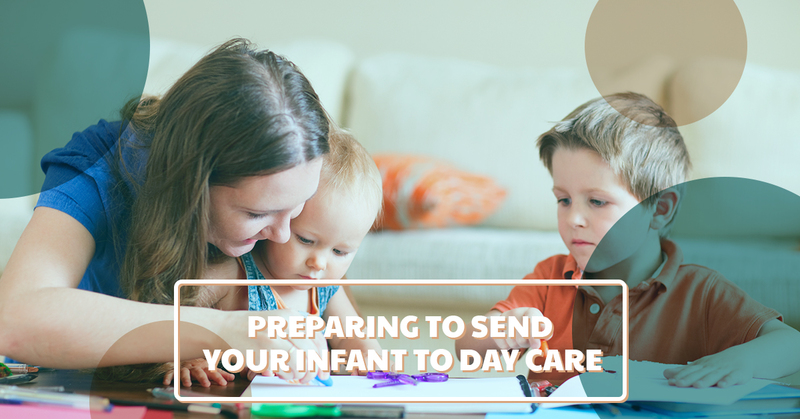 Letting your baby gradually adjust to daycare by only attending for half-days, or a couple days out of the week will be much less overwhelming (and emotional). If you aren’t able to return to work part-time, then just plan your infant’s first day at day care prior to your first day at work. And begin practicing the routine in advance. Does your baby have a favorite blanket, or toy that never leaves their side? Pack that in their bag so they have something familiar from home while they adjust to an unfamiliar environment. Get to know the instructors. Don’t hesitate to ask about your infant’s day care teachers! After all, they are going to spend the day with your baby and it helps us to know parent’s concerns and worries too! Sounds crazy coming from a child care provider, doesn’t it? 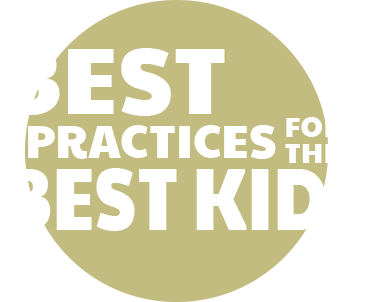 But allowing your child time to get used to another person, other than a sibling or grandparent, will help them adjust early as well. Depending on how much time you’ve spent at home with your newborn, every little change probably didn’t seem so big to you because you were with them every moment. When your baby spends time around other people, especially other children, they are learning new things along the way and their behaviors will begin to change too. The changes may feel sudden and unexpected, which can make parents feel a little sad that they’re missing out, but it is a part of every infant’s growth. When you expect change in your baby, embrace it! It means that your baby is learning, which is our mission! Dropping your infant off at a childcare provider for the first time is going to take a little bit to get used to. It’s important to have realistic expectations that this transition may take several weeks, even several months, to adjust to. There will be days that are going to seem impossible to get through emotionally, and days that your child won’t fuss at all during drop-off. Eventually, the days will become more consistent and you’ll have an established routine. Strong Start Early Care and Education is the Top Rated® Local child care provider in Trumbull that maintains a five-star rating for overall satisfaction. Our main focus is the safety and security of your children, and enhancing their learning and growth for academic success. Visit our site and contact us today to schedule your tour of our Trumbull daycare facility!